Launch is scheduled for May 2019. 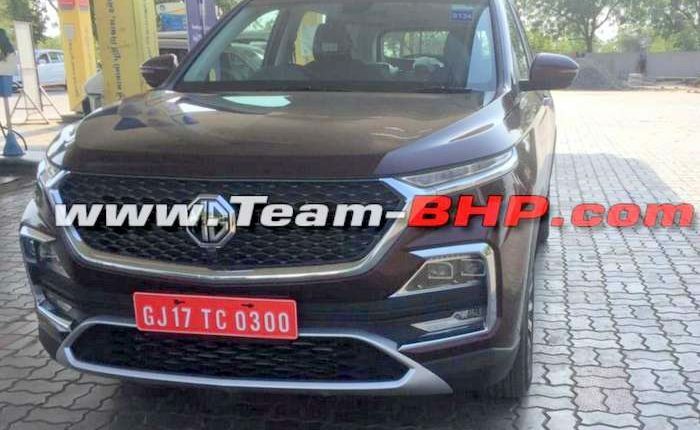 MG Hector is all set for its launch in India, which will take place in May 2019. It is being promoted by Benedict Cumberbatch, who also plays the role of Dr Strange in the Marvel Universe whose Avengers Endgame movie is also releasing in the coming weeks. With Avengers having one of the highest number of fans in India, it is expected that MG Hector will get a brand push due to this association. 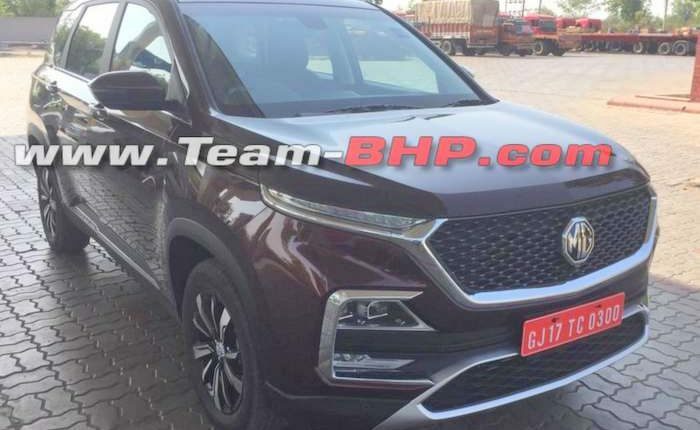 Ahead of the Hector’s India launch, the SUV has now been spotted undisguised in two new colours, which look like a shade of Silver and Maroon each. These were spotted near company plant in Baroda, Gujarat. 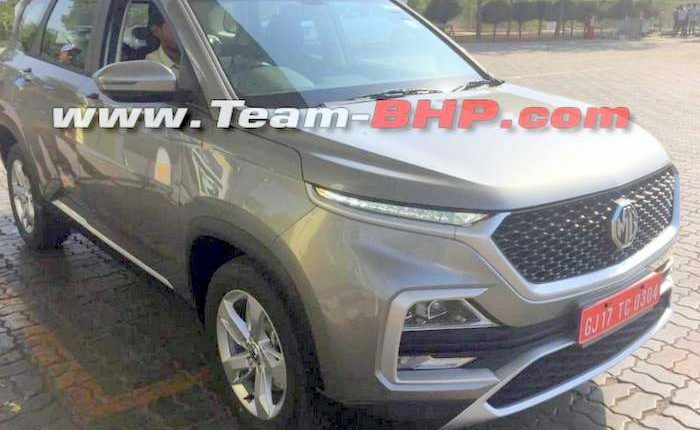 (MG Hector has already made its global debut as the new gen Chevrolet Captiva in some markets). 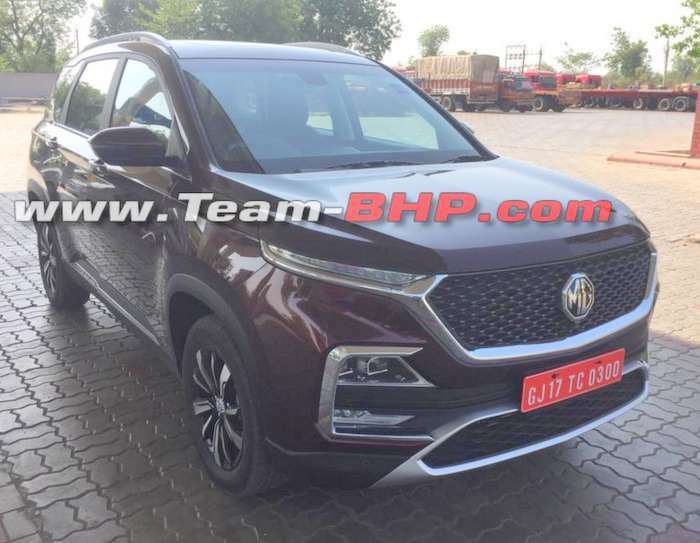 Taking a closer look at the newly leaked photos of MG Hector, it will get a large front grille, projector headlamps and LED DRLs. 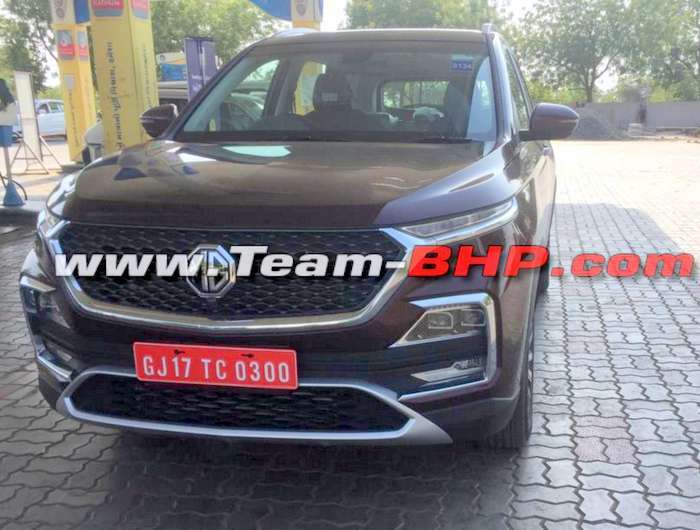 It was also its floating roof line, squared off wheel arches, multi spoke alloy wheels and shark fin antenna at the rear of the roof that will offer a more contemporary stance to the new MG Hector. Interiors get fitted with soft touch materials, all black finish, leather seats, a panoramic roof and instrument cluster with alert lights on the tachometer. Among the several segment first features will be a 10.4” portrait style touchscreen infotainment system supporting eSIM and offering advanced connectivity options. These are developed in association with Microsoft, TomTom, Adobe, Gaana, Cisco, etc. In terms of infotainment, the Hector will also sport a Harman sourced Infinity audio system with 4 speakers, 4 tweeters and a sub-woofer. Safety features expected on the new Hector could include a total of 6 airbags, hill hold assist, front and rear parking sensors, electronic stability control, brake assist, seatbelt reminder and a 360 degree camera. It will also receive tyre pressure monitoring system, ISOFIX child seat anchors and ABS and EBD. 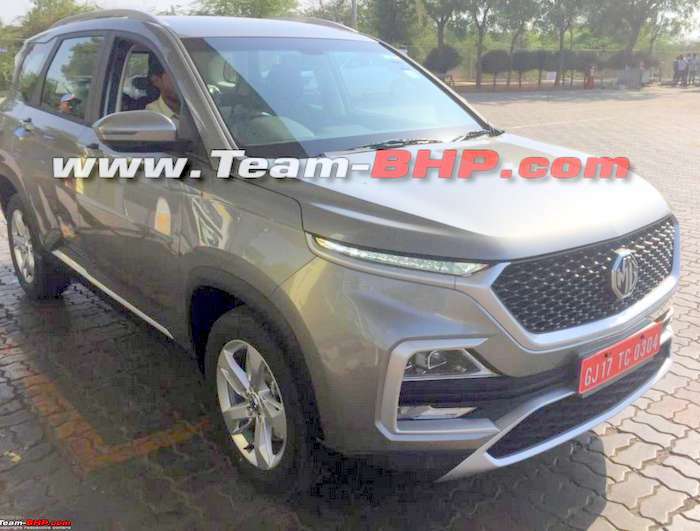 To be offered in petrol and diesel engine options, the five seater MG Hector could get a 1.5 liter turbocharged petrol engine and a 2.0 liter Fiat sourced diesel engine. The petrol engine with mild hybrid system will be capable of 143 hp power and 250 Nm torque mated to a 6 speed manual and dual clutch automatic transmission. The 2.0 liter turbo diesel engine will offer 173 hp power and 350 Nm torque but no automatic transmission will be offered with this engine. 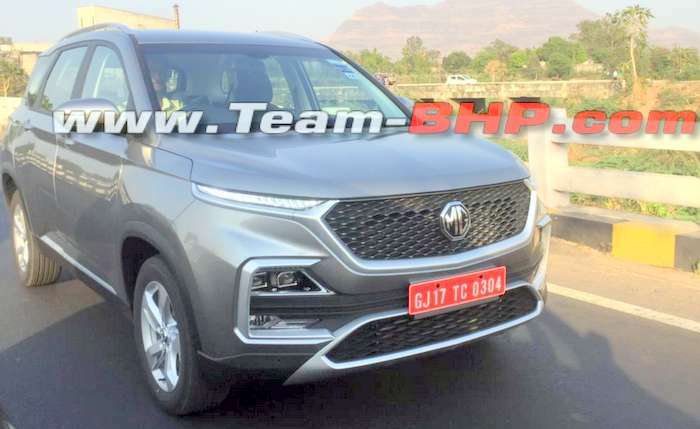 Set to be priced between Rs.13-16 lakhs, the MG Hector mid-sized SUV will take on the Tata Harrier, Hyundai Tucson and Jeep Compass.